Former governor of Edo State, Comrade Adams Oshiomhole, has said he withdrew his support for former President Goodluck Jonathan because he believed that a Jonathan second term would have ruined the country. 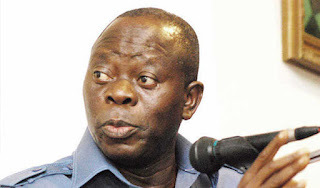 Before the 2015 general election, Oshiomhole was the only South South governor in the opposition party and some expected that Oshiomhole’s hands might be tied by his geographical kinship with the former president. He also said he referred to a private meeting where he advised, through Jonathan’s former Chief of Staff, Mike Oghiadomhe, that the former president should not contest after 2011, but his advice was ignored. In the current edition, described by the MD/Editor-In-Chief, Azu Ishiekwene, as “perhaps one of the most exhaustive in the magazine’s nearly two-year history,” Oshiomhole also spoke, for the first time, on why he accepted the N200m severance package approved for him by the Edo State House of Assembly. The former labour leader then delved into his decades of service as a union leader “without a kobo” as severance benefit, the legal challenge he mounted to remove his predecessor and his legacy, among many other explosive subjects. The edition also features an interview with the Chairman of ThisDay editorial board and author, Mr. Segun Adeniyi, who spoke on his new book and his tenure as the spokesperson of former President Umaru Yar’Adua, especially in the final, turbulent days of that government. The Registrar of the Joint Admissions and Matriculation Board, Professor Ishaq Oloyede; and the survivor the Abuja UN building bomb blast, Member Feese, also shared rare insights on their experiences.